Wagner James Au has written about high-tech culture for over 10 years, and is the author of The Making of Second Life: Notes from the New World (HarperBusiness). Currently he's an analyst for Media Bistro's Social Times Pro, specializing in virtual goods and Facebook gaming. He's most recently been a consultant for social gaming startup Ohai, virtual world developer Avatar Reality, and MMO publisher Outspark. Au has also been a freelance writer, a metaverse consultant, a game developer, a screenwriter, and most pertinently for his book, a white-suited avatar named "Hamlet Au." The first embedded journalist in a virtual world, "Hamlet Au" is a role he still plays on his blog, New World Notes (nwn.blogs.com). 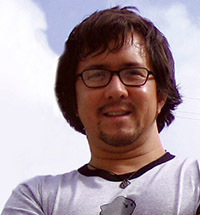 Au and his writing on virtual worlds, gaming, and Second Life have been profiled in The New York Times, The Wall Street Journal, The Associated Press, Los Angeles Times, Harvard Business Review, The Boston Globe, San Francisco Chronicle, BBC, CNN International, and NPR's All Things Considered, among many other places. From 2006-2009, Au was a contributing editor writing about the game industry, online worlds, and tech culture for GigaOM.com, one of the web's most popular blogs on Internet business and tech. He has spoken on all aspects of the above at such places as The Milken Institute, South by Southwest in Austin, Princeton's Institute for Advanced Study, O'Reilly's ETech series, and twice at State of Play. 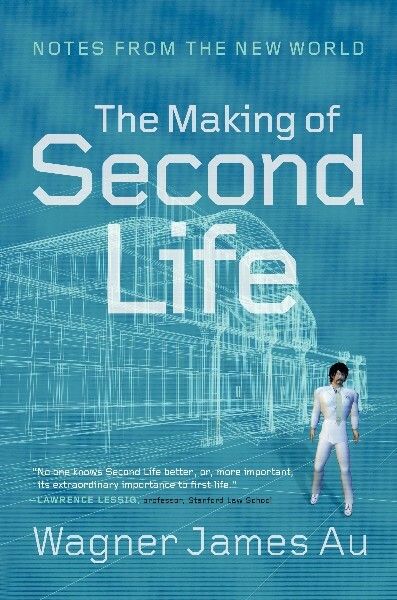 The Making of Second Life tells the behind-the-scenes story of the Internet industry's most improbable enterprise: the creation of a virtual 3-D world with its own culture, events, businesses and social systems. Now the largest 3-D virtual world on the market, Second Life was incredibly influential on Internet trends we now take for granted: virtual goods, user-generated content, and interaction via avatars. Contracted in 2003 by Linden Lab, Second Life's creator, to work as an "embedded journalist," Au has had unprecedented access to Second Life's users and the company's founders, who went on to become major players at YouTube, Facebook, and other leading social media companies.